Driving under the influence typically involves automobiles, but a news story out of Santa Maria expanded the vehicle description to include forklifts. Daniel Castillo, 37, appeared in court recently for a preliminary hearing. Castillo will go to trial on four total counts – two counts of vehicular manslaughter while intoxicated and two counts of driving under the influence of drugs, causing injury. According to investigators, Castillo drove a forklift that crashed into a car, killing both passengers. Adolfo Carrasco, 18, and Casilda Pozos, 49, died in the accident. Castillo’s blood alcohol content was .01. He admitted taking Vicodin and drinking a beer earlier in the day, but a blood test found no trace of either substance. Castillo did test positive for methamphetamine. California Highway Patrol officers said that Castillo had driven the forklift for approximately five miles in reverse before the crash. While most forklift accidents happen at the workplace, this story shows that careless forklift driving can also occur on roads and highways. Of course, the combination of reckless driving and illegal drugs was a major factor in the accident. It is unclear how Castillo gained access to the forklift, or whether he drove a forklift as his profession. When it comes to workplace safety, CertifyMe.net offers great value, flexible training schedules and OSHA-compliant instruction. Plus, our training creates a more productive environment – a confident forklift driver is a more efficient forklift driver. With our training programs, you’ll avoid potential fines and penalties from a surprise OSHA visit to your facility. Because our training fits your busy schedule, you can quickly train your drivers and operators in no time. Our online, easy to use format makes CertifyMe.net a preferred choice for companies all over the region. Go ahead and call us at (888) 699-4800 to schedule classes today. You can also send a secure message on our contact page. 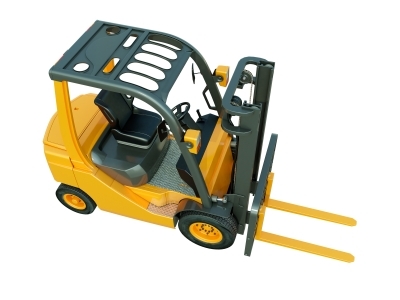 We’re here to provide affordable, effective forklift training.